I’ve always hated managing our rental property. There’s always that fear that something is going to go wrong. When it’s a “little” something, you breathe a sign of relief until the next phone call comes from your tenant. Our recent tenant of three years has moved out and I’m left to pick up the pieces of turning around the townhouse into a clean, pretty, attractive place for the next prospective tenants. At times, the stress of it is a little nagging worry that digs into my self-confidence that everything will be okay. The only way I’ve been able to tackle that little nagging worry is with ACTION. If you’ve been reading this blog for any length of time, you’d know that I’m busy, busy, busy. I rarely sit down (unless it’s to type up a blog post or edit video for my YouTube channel. Ha!). I prefer to be busy because when I stop moving, I feel like there’s something I should be doing somewhere. It’s when I’m moving and taking ACTION that I feel in control of my life, and I feel like I’m attacking life’s little daggers of doubt and making a decision to create my own destiny. So that’s the approach I took with our rental property. 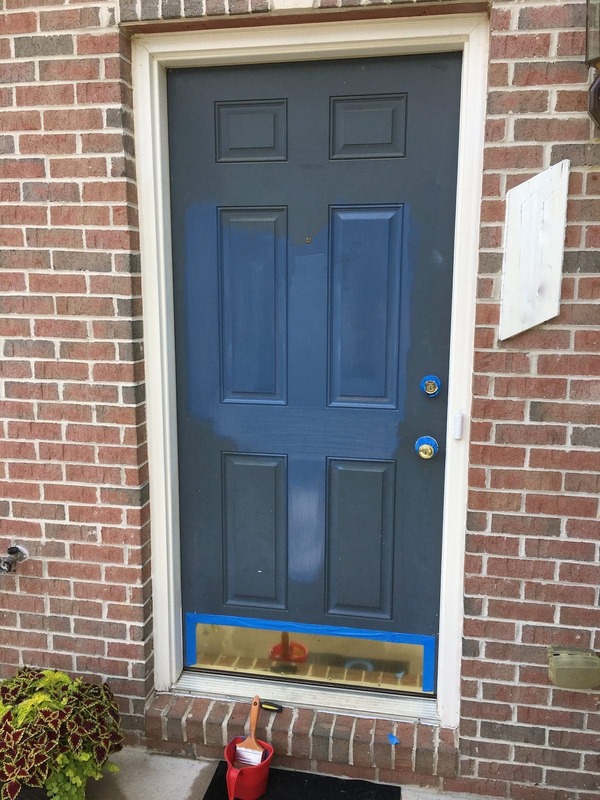 Instead of sitting there worried about finding new renters and feeling overwhelmed about paying professional painters $2,000 to paint the entire interior, I decided to do what I could do: give the exterior a mini makeover! So this past weekend, I added curb appeal to our rental property! 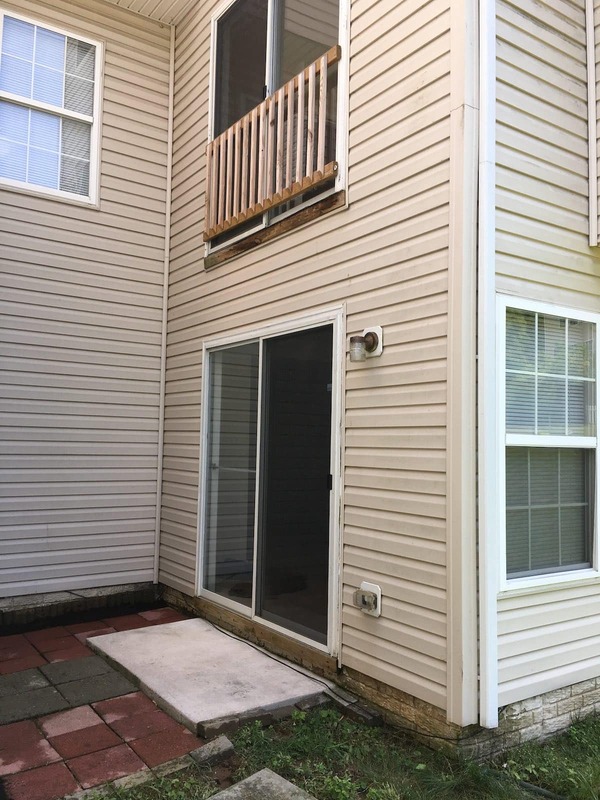 As I stooped down on a knee pulling thorny weeds from the worn mulch bed in the front of the townhouse, I wondered why my tenant didn’t tend to the townhouse’s exterior. Did she think it was my responsibility? Was she so busy that she didn’t have time to help the curb appeal of the townhouse? Or did she just think, “That’s not my responsibility”? Whatever the reason, it was clear that she did nothing to maintain the exterior. And I admit that in the 3 years she lived there, I did nothing for the exterior, either. I don’t know if we even determined who would be responsible for what. 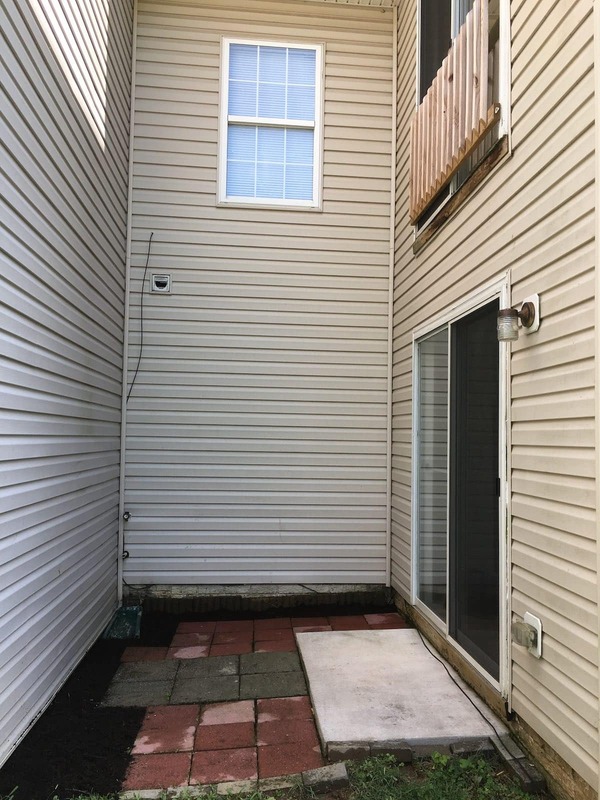 It wasn’t until she had moved out that I realized how much needed to be done to make the exterior pretty and inviting again. My advice would be this: if you are renting, talk to your landlord and find out who’s responsbility it is to do the weeding and maintain the pretty curb appeal of the property. 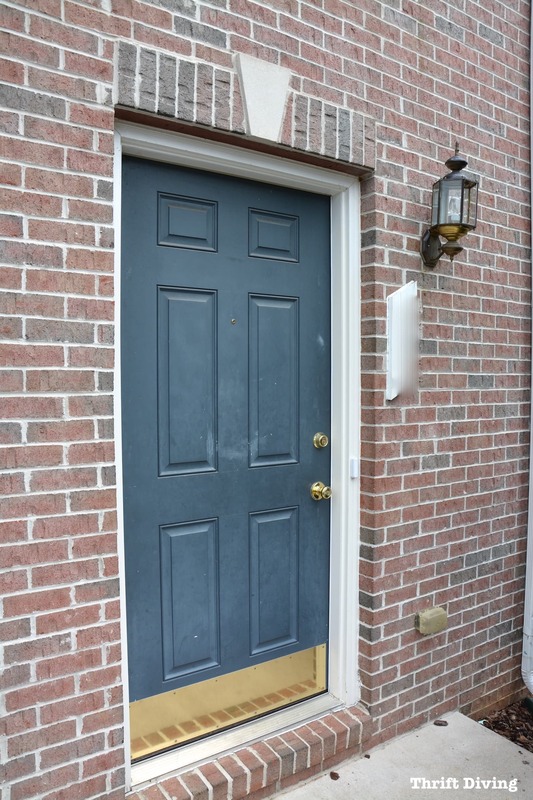 Maybe you notice that the front door is worn and you’d love to be able to paint it a pop of color! You might be surprised to learn that the landlord may very well allow you to do some of those prettying-up things! 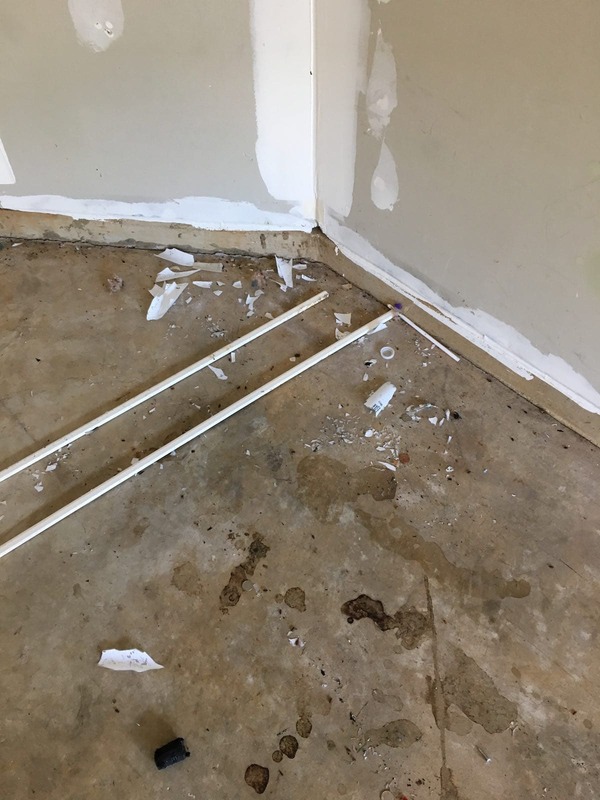 Not only are you happy to do projects, but the landlord may appreciate the “help” they get from a tenant who wants to jazz things up! Anyhow…let’s move on to the things I did this weekend! They made a huge difference! 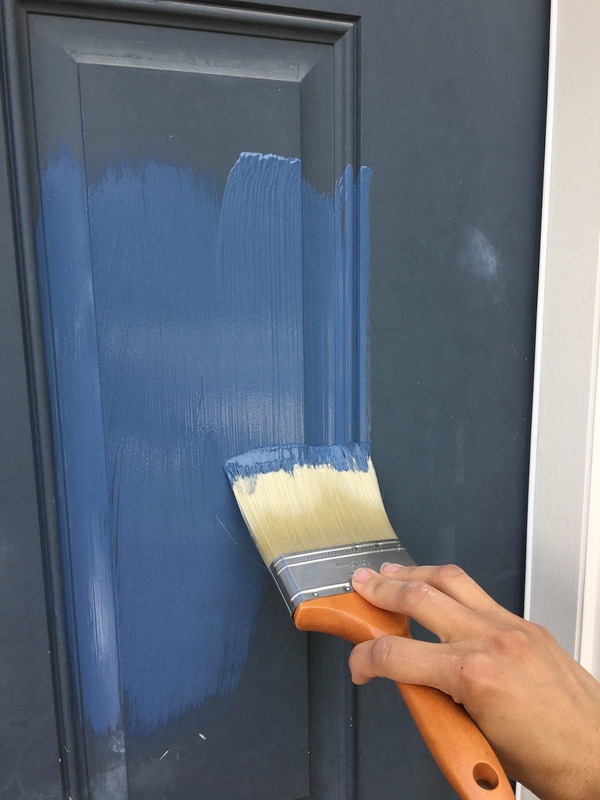 This was one of the easiest things to do to add curb appeal to a rental property (or to a house you own)! Over the years, the paint just gets so worn, you start ignoring that it looks so bad! It was badly in need of a paint job! And by the time I was done, I was pretty pleased and excited over how fresh the front looked now! The amazing thing is that I started to feel much better about the property. It had such cute curb appeal! 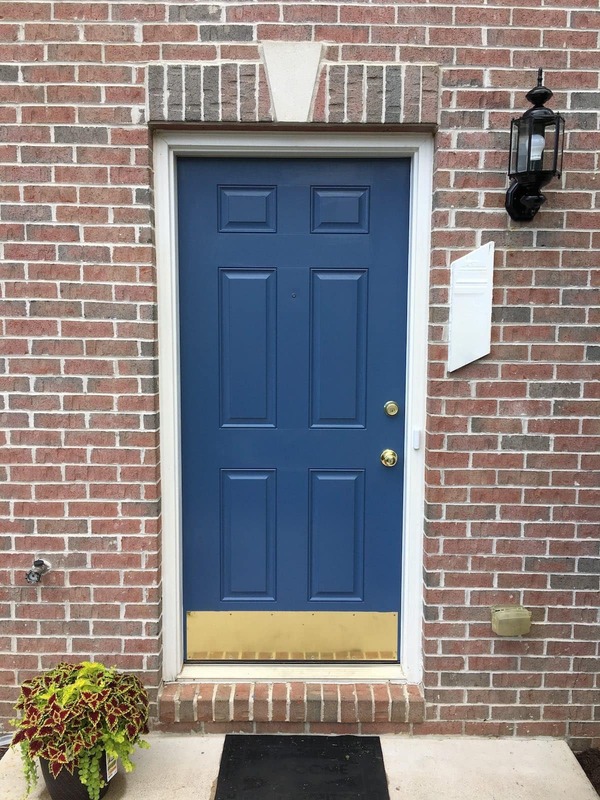 I didn’t want to fully match the color of the door, but I wanted a color that had some LIFE in it! This color had some “kick” to it! I hate doing anything electrical. To avoid that, I do what any creative DIYers would do: I tape newspaper around the lamp and then spray paint! This allows me to skip that scary “I-might-kill-myself” electrical part and just get the project done fast. I was shocked that I didn’t have a massive amount of overspray on the brick! It looks brand new, doesn’t it?? Washing the glass inserts also helped, too, along with popping in a new, fresh bulb. Adding Fresh Mulch and Flowers! This is by far one of the easiest ways to make a house “pop”! Unfortunately, I didn’t get a good picture of the “before” mulched area, but this gives you some indication. 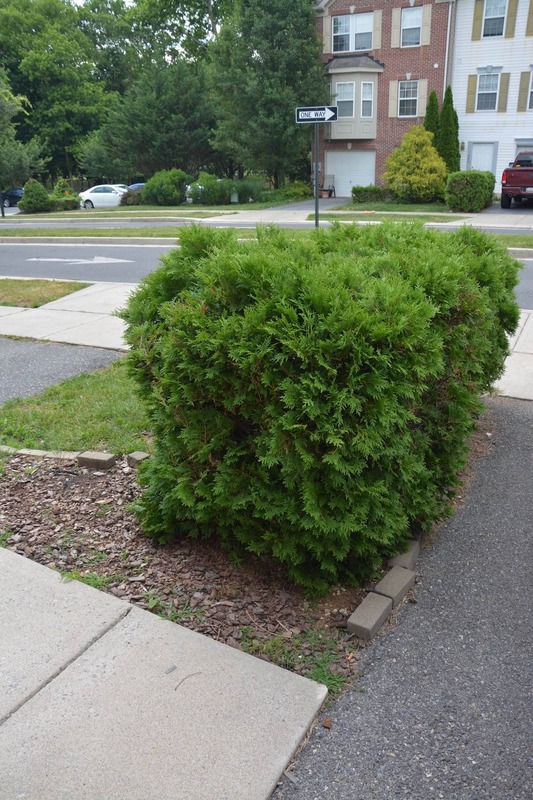 The bushes are overgrown, and the mulch was simply pathetic! 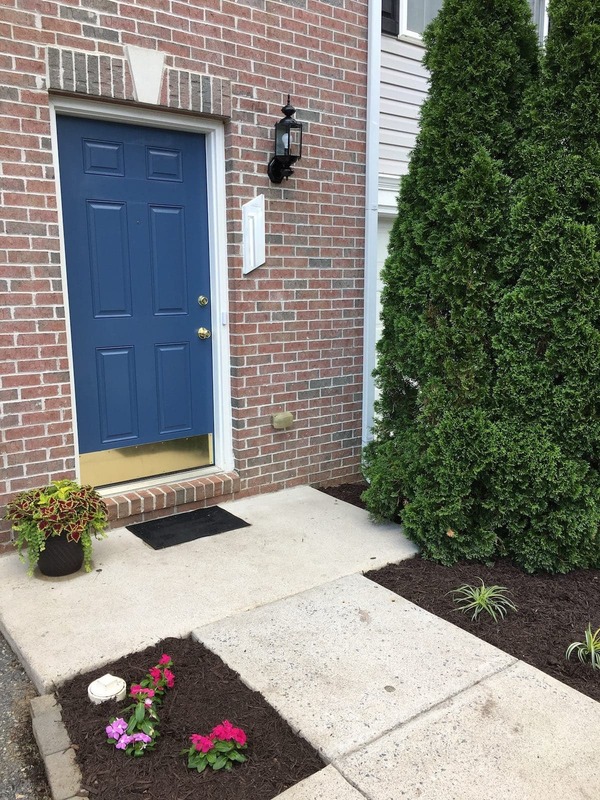 With a few vinca flowers and some random plants that I-have-no-idea-what-they-are-but-they-looked good, and with fresh brown mulch, the area looked well maintained and vibrant! 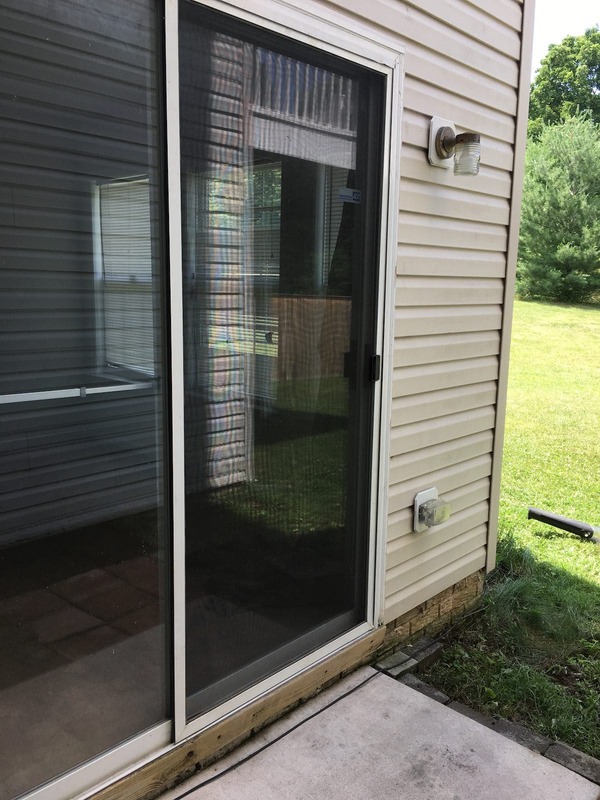 Ahhh….the power of the pressure washer…. 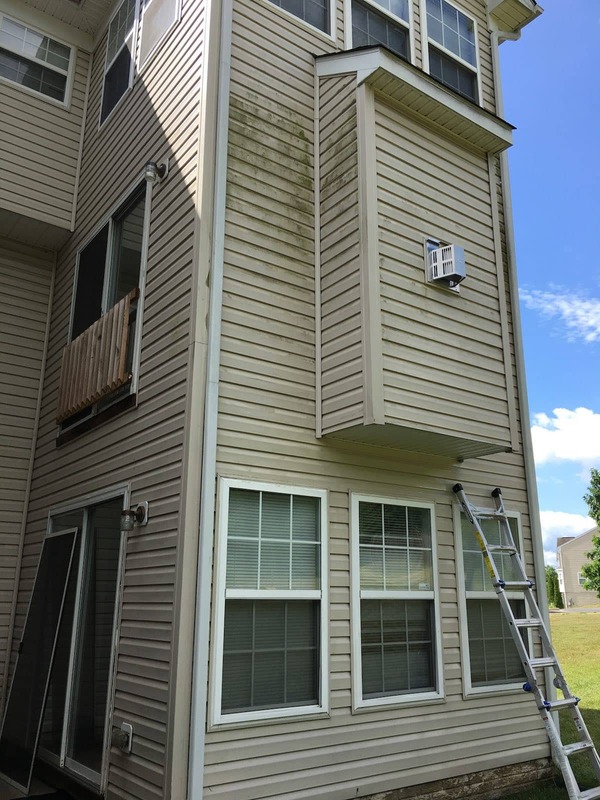 I admit that I looovveee pressure washing! It’s so satisfying, isn’t it?? Seeing the scumb instantly blasted away….! 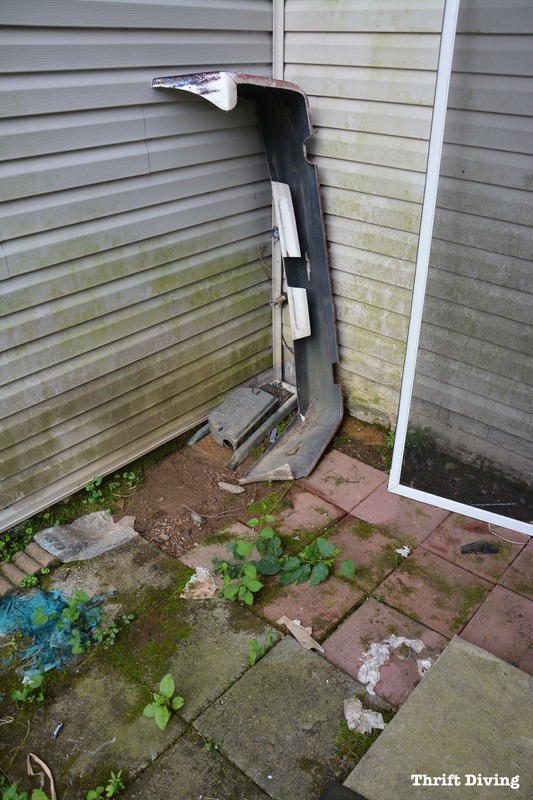 The back of the house was in bad shape, guys! It was in such bad condition, but thankfully, it was all cosmetic stuff that could easily be blasted away! The problem was going to be getting up high enough to reach 2 stories. I don’t have a huge ladder, as you can see! 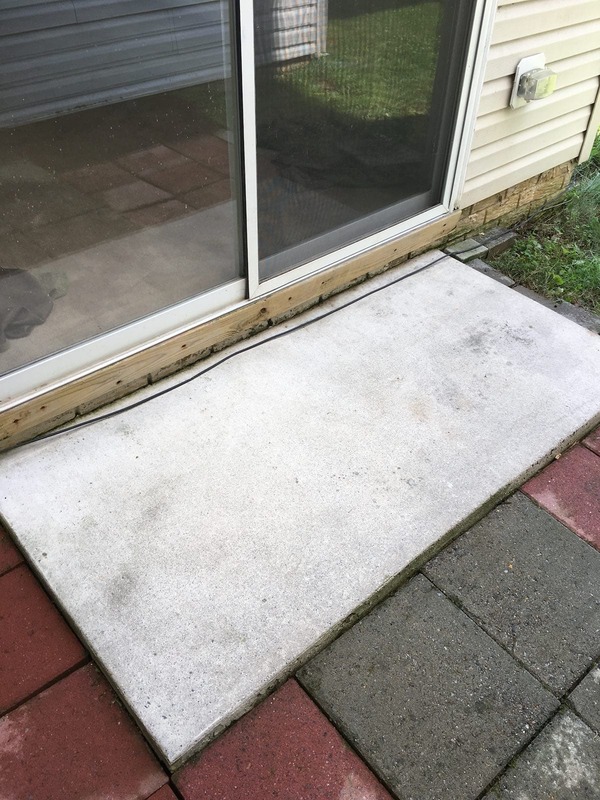 I pulled out my RYOBI pressure washer and went to work, and OMG….it looked soooo much better! 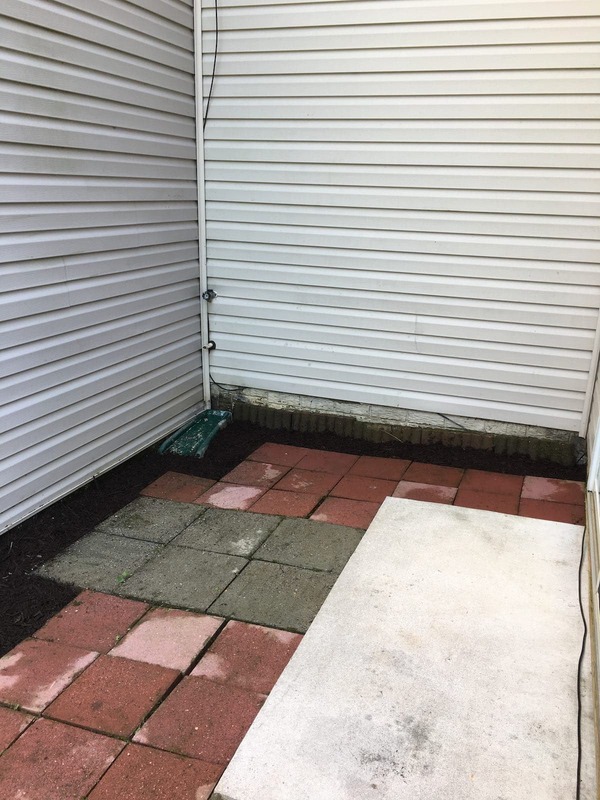 After pressure washing and removal of the junk and weeds, and adding a little mulch to the dirt areas to clean it up, it looks great! I imagine a small bistro table set up here with some pretty plants! 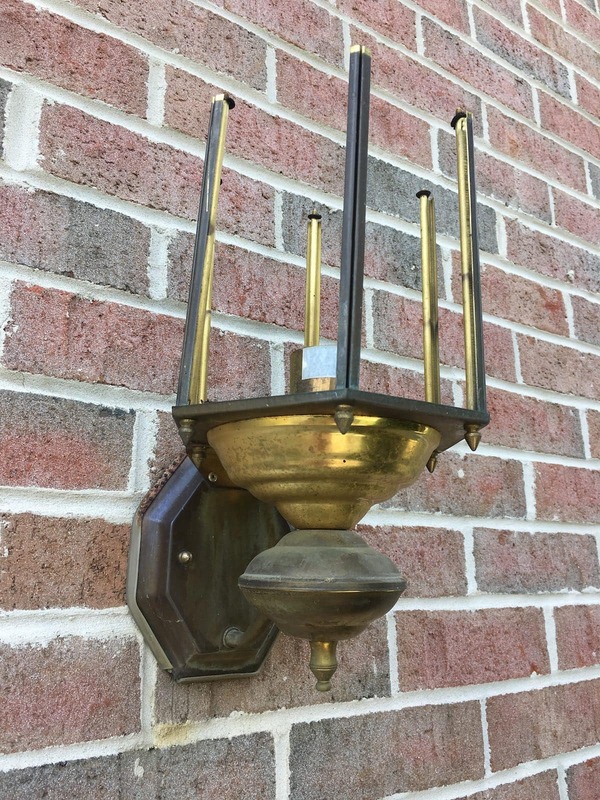 This light still needs updating, but it will likely just get some black spray paint, too! The concrete is now vibrant and not green anymore! The tenants cleaned out their things from the garage but hadn’t cleaned the garage. 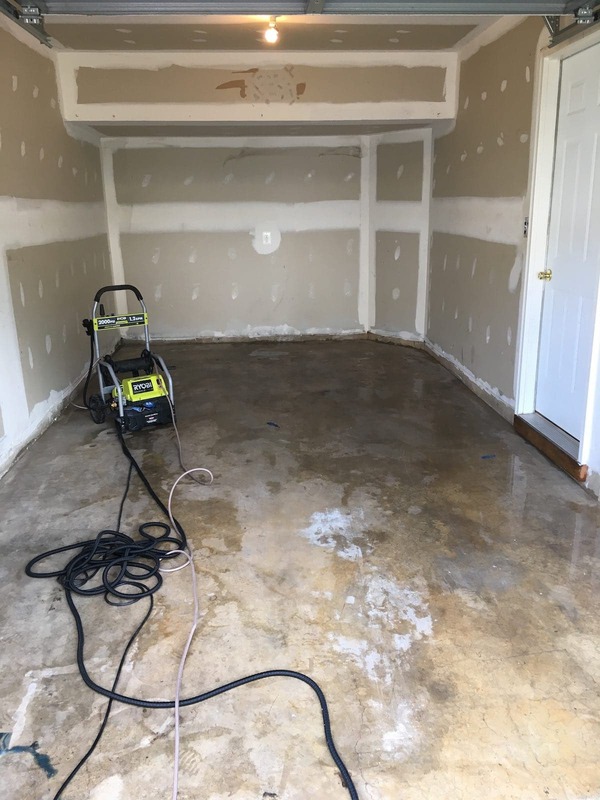 Since I was there doing some curb appeal things, I decided to sweep out the garage, throw bleach everywhere for good measure, and pressure wash the crap out of it! By the end of the day….after a full 8 hours doing all this stuff…I felt soooo much better! I felt like I wasn’t just a “victim” landlord who would have to find a tenant to beg to live here. Instead, I felt like I was turning this house into a pretty little gem and that I was getting it ready for the next nice family that will live here and takes care of it (hopefully!). And now, it’s just vibrant and clean and looks well maintained! The front needs a nicer WELCOME mat, but I just used the one from the back porch after pressure washing the gunk off of it! 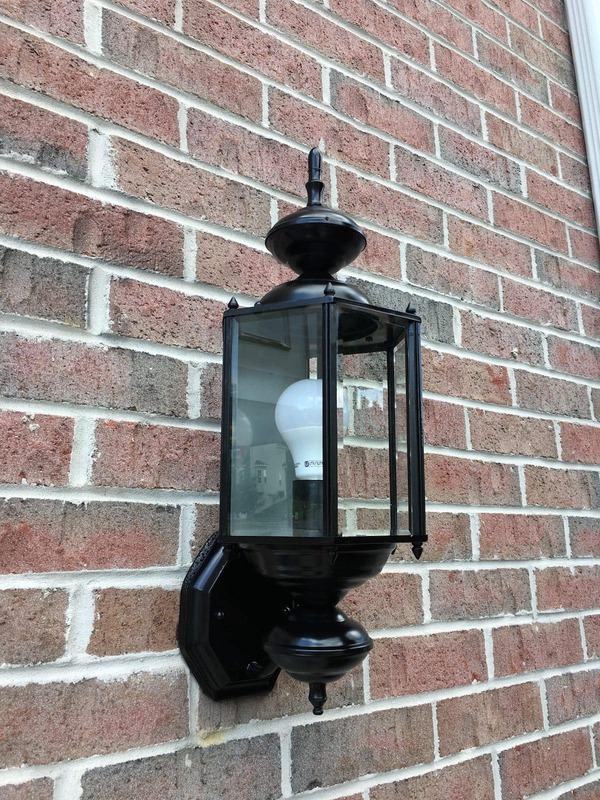 It’s amazing how just a few things can really boost the curb appeal of a home! It doesn’t matter if it’s a rental or a home you own and live in yourself. Go ahead…try a vibrant paint color. And, please….pressure wash the dirt away. And don’t be afraid to ask your landlord if you can do some of these things. More than likely, your landlord might very well thank you. What’s your favorite curb appeal tip? Leave a comment below and let me know! « Hiring a Contractor: Should You DIY It or Hire a Professional Instead? Yes, definitely! You’d be surprised how much fresher the front of your house looks with just spraypainted lights! 🙂 Glad I was able to inspire you! It looks lovely. It is done very beautifully. This house looks like a new one. Really a great post. Gorgeous afters! Much better–so inviting. 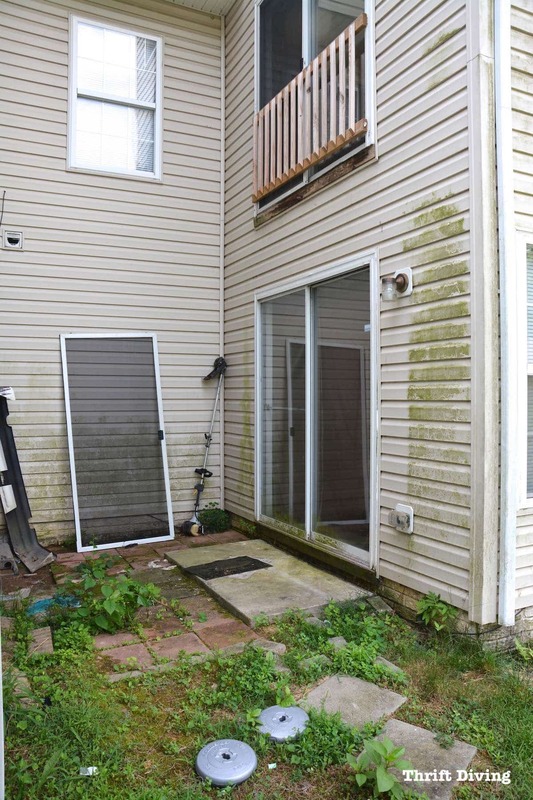 Pressure washing is a miracle treatment, like the house equivalent of botox, lol! I love putting on new house numbers, too. 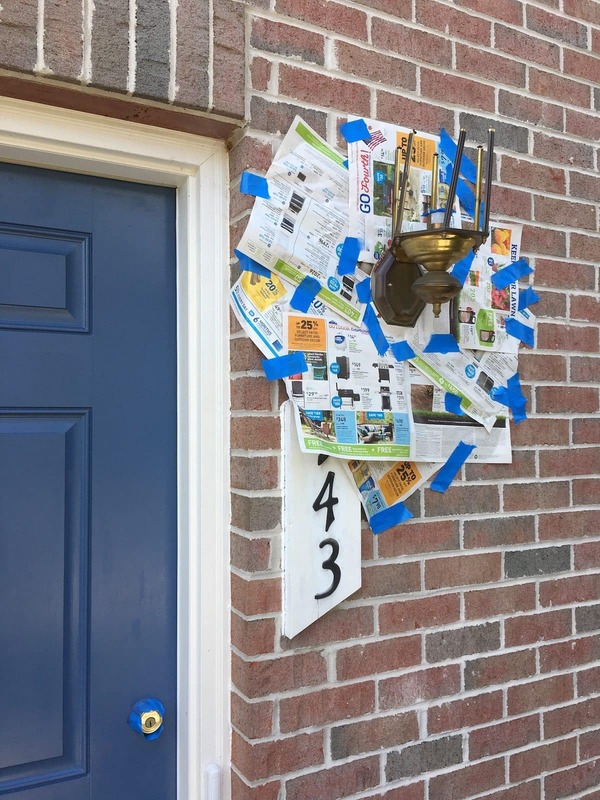 🙂 A new coat of paint on exterior lights is always one of my favorite “quick curb appeal” tricks, though, and I love the idea of taping newspaper around it! Electrical work is always so scary to mess with. More than shocking myself, I’m always afraid something will get messed up and start a fire-ACK! Looks like you have a nice little rental place! Good investment! Wish I lived close enough that I could come help you do some maintenance, I used to help my parents with their rental units. Clean, paint, clean again, leave! Good luck out there! Not lazy, clever. That newsprint splash guard…brilliant. I’m never disappointed when I stop by, Serena. The front door and painted lamp look terrific. And I agree, that fresh paint, a clean and tidy appearance, and my favorite, healthy green plants, make all the difference. You did an amazing job. Everything looks much brighter and newer now. And it mostly cost you some time. It looks like an expensive upgrade. Thanks so much, Brenda! I felt good working on those things and really felt better about the situation of having to find new renters. 🙂 Let’s hope I find great people soon! I’ll keep you posted!! You are building equity into your place and have the potential for passive income in the future. Keep your rental! Looks great and inviting. Next time you might want to plant a blooming ground cover. Less upkeep and can be walked on. According to Judge Judy and People’s Court you could take a reasonable amount from the security deposit for the cleaning, but not the painting. 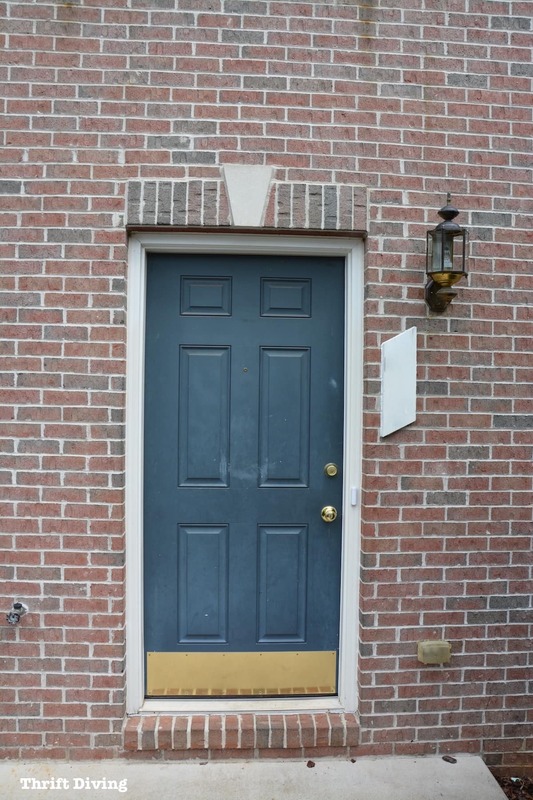 Renters should be beating your door down, hopefully. ? It looks like a million dollars! I lol at the ingenious paper taped behind the light! I call that the Lazy Girl’s Way of Painting Anything That Must Be Removed But You Don’t Feel Like Removing It. 🙂 HAHA. Totally worked, too!! 🙂 Thanks for the support, Pat! !